One thing I miss this time of year is king cake. If you live in Louisiana, you get the benefit of getting a piece of this succulent pastry on a regular basis from now through Mardi Gras. There are legends and lore that trace king cakes to the wise men visiting the baby Jesus. That’s why you’ll find a little plastic baby hidden in the cake. The person who gets the baby buys the next cake. Whatever the origin, king cakes are good and a rarity outside of Louisiana, unless you’re lucky enough to have a Publix Supermarket near you. We’re lucky like that here in Nashville. I ran across a king cake at Publix last year. I got my first one of this season after church today. It ain’t Gambinos, but it’s not bad either. Laissez les bon temps roulet. I had my first experience with airline WiFi on my last flight from New Orleans to Nashville on Southwest. Bottom line? Mixed results. Signing in and logging on were a breeze, but you have to have your credit card handy. The downside was the speed and spottiness. I don’t know if that was a phone issue or a connection issue. I don’t know where the hotspot was located in the plane. But I was sitting in a window seat on the third row and frequently got “No Internet Connection” errors during my hour and a half flight. At $5, it was not bad. Not a bargain, despite the “Introductory price” label, but not a bad little time-killer. When it worked, I was able to keep up with friends on Facebook and follow the Giants-Packers game on the NFL.com mobile site. But I probably won’t get it the next time it’s offered, especially if they raise the price above $5. 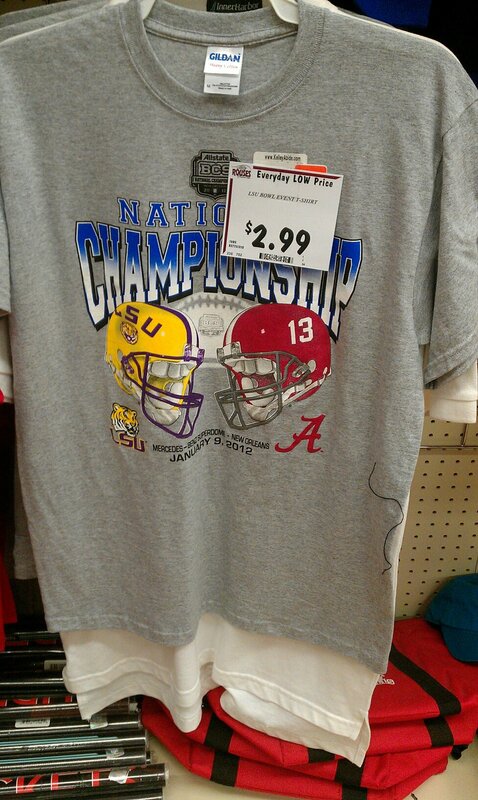 This picture paints a thousand words in bayou country right now. I love Abita Amber. It’s my favorite beer. But I hadn’t had much luck finding it in Tennessee for the past 12 years until I downloaded the new Abita app for my Android phone last month. The app does lots of things, many of which I’ll never know. But the one thing it does, is tell you where certain makes of Abita beer are sold near you. I found a tobacco store in Donelson, Tenn., 2 miles from my apartment, that stocks Abita Amber. Nirvana. You can find out more from Abita. Or get the app from the Andriod marketplace. 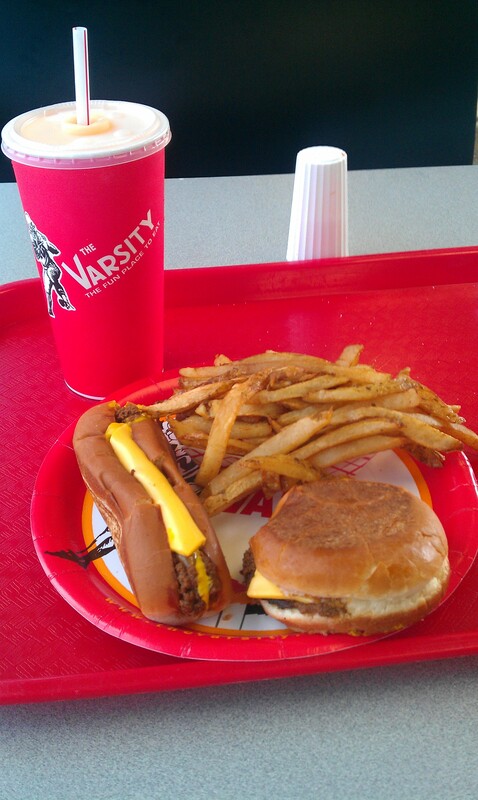 It’s always a treat to stop at The Varsity in Atlanta for a chili cheese dog and chili cheese burger. (That’s a No. 2 on the menu, in case you want to order it.) We discovered this jewel through a Food Network special on hot dogs several years ago. And I always make it a point to stop there when I’m in town, even if I’m just passing through like I was on New Year’s Day. I don’t normally eat chili on anything, but here, I make an exception. They’ve been in business since 1928 and like things simple at The Varsity. They start the process by asking “What’ll ya have, what’ll ya have?” The menu is numbered, so on this day, I simply said “A No. 2 with fries and a F.O.” F.O. is a Frosted Orange, a homemade orange slush that brings back memories of a frozen orange push up. Their onion rings are great too, but I’ll save them for another trip. There are several stores around Atlanta. I’ve eaten at the one in Norcross, but Downtown is my favorite. It’s right off of I-75 in the heart of town.